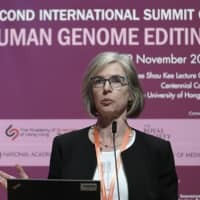 SHANGHAI/HONG, KONG - A Chinese researcher’s claim that he successfully modified the genes of human embryos may force the country to make a stark choice about the future of its burgeoning biotechnology industry — one with significant implications for an emerging technology arms race with the West. He Jiankui, an American-educated scientist based in Shenzhen, announced on Monday that he’d used Crispr, a powerful gene-editing tool, to make recently born twin girls resistant to HIV. He’s statement, which was not backed by peer-reviewed data and hasn’t been verified, prompted widespread condemnation from scientists in China and elsewhere, with many calling it an irresponsible use of a technology whose long-term effects are still poorly understood. Yet whatever the veracity of He’s claims, it’s likely that China, with its aggressively entrepreneurial start-ups and less stringent regulation, will be the country where researchers most rapidly test the currently accepted boundaries of genetic manipulation. That presents its leaders with a dilemma: Whether to follow the U.S. and Europe in strictly regulating its application, or take a more hands-off approach, catalyzing rapid innovation in a strategic industry at the cost of what could be serious risks to patients. A Chinese official on Tuesday emphasized at a press briefing that China had outlawed the use of gene-editing for fertility purposes in 2003. He, the researcher, will make the project’s data public Wednesday at an international genetics conference in Hong Kong, according to a representative. Harmonicare Medical Holdings Ltd. owns the hospital where He said he got approval for his work. It said in a filing Tuesday that it believed signatures on an application to the hospital’s medical ethics committee had been forged, and that the committee never met to review the proposal. “Shenzhen HarMoniCare Hospital will invite public-security organizations to participate in the investigations and pursue the legal responsibilities of the relevant individuals,” Harmonicare said in the statement. An investor relations representative for Harmonicare Medical said it is investigating the researcher’s claims when reached by telephone Tuesday. The Chinese scientist is under intense pressure to produce compelling evidence, and to show he complied with ethical standards. He’s said the twins were born a few weeks ago, though the births have yet to be verified. The current gene editing debate comes as China moves ahead aggressively with what might be the other defining technology of the 21st century, artificial intelligence. The contest between Western and Chinese companies to develop powerful AI systems has been likened to the Cold War arms race, due both to the speed of back-and-forth developments and what technologists like Tesla Inc. founder Elon Musk warn could be devastating consequences for miscalculation. As Chinese companies including Alibaba Group Holding Ltd. and Tencent Holdings Ltd. vie with Google Inc. and Facebook Inc. for global leadership in AI, the Asian country has been much faster to commercialize applications that would raise serious ethical and regulatory concerns elsewhere. Chinese cities are pioneers in marshaling the potential of facial recognition and big data to police the behavior of their citizens, down to issuing automated fines for offenses like jaywalking. The appeal of driving similarly ahead with gene-editing techniques is easy to understand. In the medium term, they appear promising for the treatment of cancer and other deadly diseases, as well as for inherited ailments. In the longer run, scientists could use gene editing to engineer humans to be smarter, more resistant to disease, or even physically stronger — a science-fiction future that has the potential to sorely tempt a rising superpower that’s attempting to displace the U.S. This week, several Chinese institutions, including the university where He has served as an associate professor in biology, have disassociated themselves from his work. At the Hong Kong genetics conference, Renzong Qiu, a professor at the Chinese Academy of Social Sciences who’s known in the country as the “father of bioethics,” said He’s work likely violated existing government regulations. 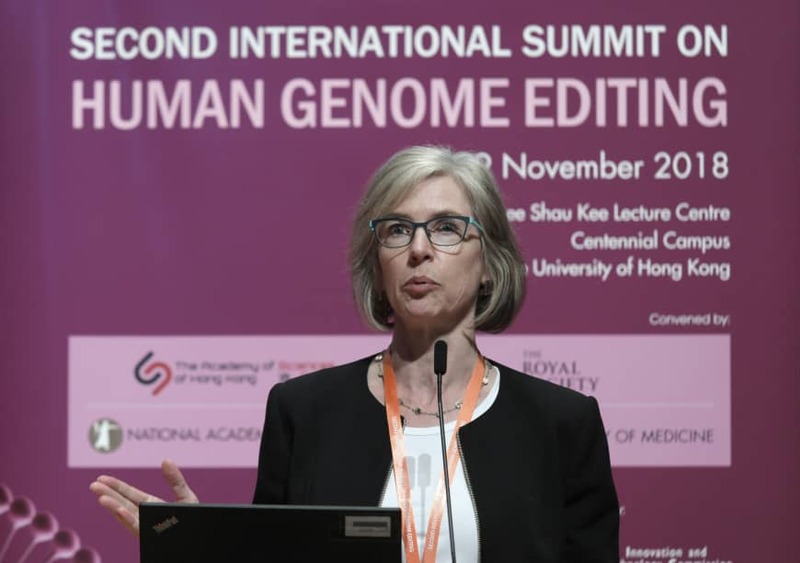 The U.S. and many European countries have heavily restricted the use of Crispr for the so-called germ-line editing — making changes that will impact the descendants of an original patient — that He claims to have performed in China. In China, government guidelines issued in 2003 prohibit experimentation on embryos more than 14 days after fertilization, and ban the use of gene-manipulated embryos for reproduction. The most recent government pronouncement, a 2017 document from the science and technology ministry, said that the research involves great risks and urged rigorous supervision. But current Chinese rules don’t impose penalties for violations, and aren’t a powerful enough deterrent against potential violators, said Zhai Xiaomei, a professor at the Chinese Academy of Medical Sciences. While China has allowed other game-changing technologies to proceed with relatively little interference, it would be a mistake to view the country as wide-open even for those innovations. Even the most powerful Chinese companies do business only at the pleasure of the government, which can shut down their activities at any time — with virtually no recourse for the firms concerned. One recent example comes from the games industry. Earlier this year, China halted approvals of new computer games, ostensibly to protect young players, freezing the pipelines of several internet companies. A widespread backlash to the aggressive use of gene-editing could spur a similar reaction, or at least a dramatic clampdown on efforts like He’s. His announcement has clearly struck a nerve among many Chinese scientists. The country’s biotech companies and universities have worked hard to counter suspicions that their endeavors are rife with fraud and the kind of minimally-supervised experimentation that the Shenzhen researcher may have engaged in. The Genetics Society of China and the Chinese Society for Cell Biology were quick to condemn his purported work, calling it a serious ethical violation. A group of 122 Chinese research scientists on Monday published a letter that called the project unfair to the vast majority of Chinese scholars who work conscientiously and respect ethical boundaries.